We delve into the calendar of Yah and learn what Gregorian month the Scripture reveals to be the beginning of the year. The result is also corroborated by historic findings, such as an ancient Israelite tablet, as well as empirical testing, and a review of scholarly assessments that are supported by the sure Word of truth: the Scriptures. What Constitutes a Day in Scripture? Currently, when we speak of time in relation to a day, many of us usually regard that day as a 24-hour period, and that is due to tradition. It has been habit forming from generation to generation, but where did this 24-hour day originate, and furthermore, is it Scriptural? This video is to be seen as a companion to the enhanced scripture study video titled The Pure Convocations. 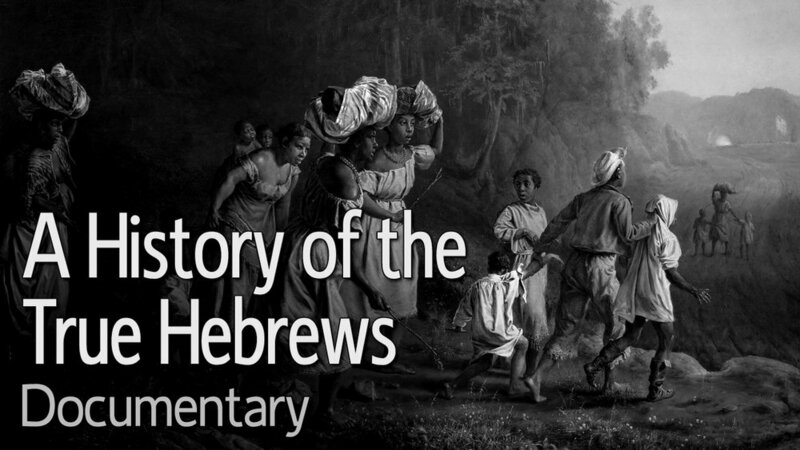 However, this video is a standalone simply because the subject of the Hebrew calendar itself is extremely controversial and comes with various and sundry interpretations from many individuals and groups around the world, and there is currently no true consensus on any one interpretation. That said, it is intended that The Pure Convocations exist to benefit and enlighten many, despite your view of the Hebrew calendar, and how months and appointed times are truly reckoned. But this particular video, take it or leave it, will add to the pot of multiple interpretations already stewing, and act as a declaration of our official position on this subject. Now, many people follow the Khazarians with regard to the Hebrew calendar, thinking they have the truth concerning the months, which they mark by lunar observations, when it is never recorded in Scripture that anyone looked up at the moon to mark the new month. But the Khazars are not the custodians of Scriptural truth. And it doesn’t help that certain words associated with the appointed times and new months are often misapplied. So there is a major discrepancy as to what kese or keseh pointed to in our language, and like this calendar issue, there is no true consensus. But I hold that it does not refer to a full moon. Remember that Leviticus 23 verse 10 says that the Israelites were to wave a sheaf after they harvested the first grain of the year—in this case, barley! The question we have to ask is, “When did they harvest the barley?” The answer will tell you which month on the Gregorian calendar is always the first month in Yah’s eyes and corresponds perfectly to his calendar. What I’ve found is the feasts and new months of Yah’s calendar always fall on the same days of the same weeks of the pagan months from year to year without fail! They never switch months or float from day to day, and that’s because the seasons themselves never really move! What I mean by that is, if a pure convocation day falls on a third day of the week, what the world calls Tuesday, it always falls on that same Tuesday each and every year. In Yah’s eyes, the same days are respected, therefore, but not the same dates. The world observes dates (December 25th, October 31st, etc. ), and those dates float on the calendar and land on different days of the week, such as a Tuesday one year, and a Friday the next, with the exception of pagan days like Thanksgiving, which is always observed on the fourth Thursday of November, causing it to function more like Yah’s fixed calendar. Yah, on the other hand, doesn’t mix and match. He has us exclusively observe days (the seventh day of the week, the fifteenth day of the month, etc. ), regardless of dates. I hope you see the contrast. The Adversary, HaShatan, wanted to be like the Most High, but by copying and corrupting the truth, and making a counterfeit of it, hence the mixing of both days and dates on his corrupted calendar. Given all this info, if you research carefully you will find which month was the first month of harvest for the year in Israel, when barley was harvested. The internet has a host of sites that offer up interesting descriptions of what harvesting was like in ancient Israel. And of course there are sites that also offer misleading information, but when weighed against Scripture, the truth always shines forth. One site I found of interest is bible-history.com, which lists various Bible dictionaries, an encyclopedia, Bible commentaries, and other items. The site has an entry titled “Harvest,” which it quotes from the International Standard Bible Encyclopedia. Harvest: the season for gathering grain or fruit. On the 16th day of Abib (or April) a handful of ripe ears of corn was offered as a first-fruit before Yah, and immediately after this the harvest commenced. The offering waved by the priest was actually an omer, or a sheaf of barley, which was the first grain crop to ripen for the year. This is also proven in Exodus 9 verse 31, which we quoted earlier. The barley harvest was of great importance, for it confirmed when the year began. The author goes on to say that, “This is not a memorandum of tasks to be carried out in the different months of the year, but a concordance table between twelve [official months in order].” And he goes on to say that the months are listed without their proper names, but Hebrew months were never named in ancient times. Babylonian names were added later. Not even Abib is a proper name for the first month; the term abib simply refers to what occurred during that month, young ears of grain shooting forth. So again, we have to sift out error when doing our research. The Old Testament uses several of these terms to mark dates. In the oldest liturgical calendars, Ex. 23: 16 orders the feast of the Harvest, qa?îr, to be observed. Note that both sources conclude that the fifth entry, One month reaping, refers to the barley harvest, and that harvest took place in the month of April. This is very important. April is in fact the very start of the year on Yah’s fixed calendar. In contrast to this, the Khazars sometimes begin the year in March, but they reckon the year quite differently, sometimes adding a thirteenth month to their year every three years or so, due to the shorter counts forced by a 29.5-day month on the lunar cycle. Months in the Jewish calendar are based on the phases of the moon. A new month begins on the day of the crescent moon after the new moon phase. Because the sum of 12 lunar months is about 11 days shorter than the solar year, a 13th month is periodically added to keep the calendar in step with the astronomical seasons. They call this a leap year, but the problem with a thirteenth month is, there is not a single mention of one anywhere in Scripture. So going by the lunar cycle, or lunisolar calendar in this case, one is forced to add a thirteenth month to the year, otherwise Passover would eventually slip into winter, then fall, then back to spring and it continually regresses backward in time throughout the years. A thirteenth month, therefore, pushes it back into place and keeps it in spring. But thirteenth months are unscriptural. 8So the sons of Israel wept for Moses in the plains of Moab thirty days; then the days of weeping and mourning for Moses came to an end. 29When all the congregation saw that Aaron had died, all the house of Israel wept for Aaron thirty days. So the month was 30 days, period. Now, with regard to Passover being pushed back into winter, what’s interesting is, many other calendars I’ve seen have the same problem, including the Enoch calendar. People who adhere to the various calendars out there fail to test them empirically, and when those calendars state that Passover is on this or that day, people simply observe the days in question having not tested those assertions in a practical sense. I have to interject one thing here. What I’ve found is that the Gregorian calendar is not very far from Yah’s true calendar, while the Khazarian lunar calendar system is perhaps the worst in terms of accuracy. The Gregorian calendar, which replaced the horrendous Julian calendar, was a step in the right direction, and it corrected many glaring errors and flaws in the system of reckoning seasons. What it gets right are the Spring and Fall equinoxes, which the feasts of Yah are anchored to. Some people begin the year with the Spring equinox, but again, Scripture clearly lays out the beginning of the year, which was tied to the barley harvest, which always occurred in April. What the equinox does, however, is act as a sign that something is about to occur, yet it does not usher in the year in and of itself. Genesis 1 verse 14 says this in plain detail. The lights in the firmament were to be, word H226, oth, that is, signs, or omens promised by prophets as pledges of certain predicted events, according to Brown-Driver-Briggs. The predicted events of prophets usually didn’t occur right away, and neither does the Spring equinox mark the exact beginning of the year. What it does tell us, or predict by way of a sign, is that the beginning of the year is right around the corner, in many cases less than two weeks away. When day and night in many regions of the world are almost of equal length, that is the time of year something special is about to happen. Remember the rules of harvest: the year cannot start before the barley harvest, the qatsiyr of Exodus 23:16, in other words. While the Enoch calendar gets many things right in this regard, it does get one thing very wrong, and this is due to its insistence on a strict 364 days of the year each and every year. When we use the empirical testing I mentioned earlier, we’ll see what happens based on this theory. Using the first of these two, I will test one calendar I found based on the Enoch theory. The people who compiled it presume that Passover falls on March 30th of this year. If we take 364 days in the proposed Enoch year, and multiply it by 50 years we get 18,200 days. So let’s input that figure into the Days box of our time and date calculator, using March 30, 2017 as the start date. We’ll leave the Add/Subtract selection as Add. The result, as you can clearly see, places Passover on Thursday, January 27, 2067, 50 years into the future. Now, Yah’s calendar has been around for several millennia, and if the people of ancient Israel were going by this calendar, their Passover would have passed through all the seasons before landing back in Spring where it belongs over the course of several centuries. This is completely unscriptural. I hope you see that. And this will be true regardless of the start date you put forth based on the strict 364-day Enoch calendar. What I have found is that there are in fact 12 30-day months to a year, which gives the year 360 days, plus 4 separate days not tied to months that mark the beginning of four seasons, making it 364, but it isn’t that cut and dry. First, the last day of the year is also the start of the next year, so the count is 364 theoretically, but 363 on paper. Also, there is an extra added bonus to the year every so often, and this corrects the season shifts that we see in the strict 364-day count. And this interpolated bonus is actually scriptural. In the book of Ezekiel, specifically chapter 4, a command is given to Ezekiel to symbolically bear the iniquity of Israel by laying on his side a number of days for the sins of Israel that had accumulated over the years. This scriptural event actually supports Yah’s fixed calendar and locks in the seasons and feasts so that they do not shift from year to year. But it takes a bit of discernment, which Yah supplies in great abundance if we ask in faith. Now, according to verses 1 and 2 of Ezekiel chapter 1, this command came in the fifth day of the fourth month, during the fifth year of King Jehoiachin’s exile. When we arrive at Ezekiel chapter 8 and verse 1, Ezekiel is finally allowed to move and is shown sitting in his house with the elders of Judah sitting before him, and the hand of Yah fell upon Ezekiel once more. We are told that it was the sixth year of Jehoichin’s exile, and the fifth day of the sixth month. So the period of lying on both his sides had lapsed. Adding 390 days and 40 days gives us a total of 430 days. And if we’re going by regular 30-day months as some still hold to, not counting 4 separate season days, the year would total 360 days. Using 30-day months as our count would give us a total of 420 days from the time Ezekiel began laying on his side to the time he was allowed to get up. Using the Enoch Calendar, on the other hand, which adds an additional 4 season days to the count, we would come to 424 days total. These are both shy of the 430 days Ezekiel was commanded to lay on his side. But when you add an occasional leap week to the calendar, seven days that do not disrupt the 30-day months, there is no shift in seasons from year to year. And the book of Ezekiel proves that, from years five to six of Jehoichin’s exile, a leap week was employed. So, in the beginning, just before the first day of Creation, Genesis 1 verse 2 tells us that the Spirit of Yah, the Ruach, hovered above the waters, acting as a Spring breeze blowing through. The Ruach was the therefore the early Spring rain of James 5 verse 7, so to speak. And following that Spring day, Day 1 of Creation, the first Sunday of what we call April, marked the start of it all: the first of the year, month, and week of existence; the beginning of the 6,000 year odyssey that would place those on earth in the middle of an all-out war of good and evil, light and darkness. The calendar that we have addressed in this video will be available for download on a page that can be accessed from the video page you’re currently viewing this study on. It is a full annual calendar that shows each and every day of the year, not just pure convocation months like many other calendars do. That way you’ll clearly see how this particular calendar works, and you’ll be able to plan your gatherings months, even years in advance, as ancient Israel once did, without the need of a spotter gazing up at the sky to sight a sliver, or conjunction, or what have you. I hope that this video has been an aid to you, offering enlightenment on this important subject as you continue to prep for the Kingdom of Yah. But know that this is merely a foundational study and is in no way meant to be exhaustive, so dig deeper on your own, until we are gathered as a nation and cleansed. At that time we’ll be on the same page concerning everything. Until then, may the pure convocations be a blessing to you and yours, Israel, and those joined to you. Shalom! What did you think about the documentary video? Full 12-month Hebrew Israelite calendar based on Scripture, complete with explanatory notes, coded feast day highlights, and scripture verses. Available for free download!